Melani Burcham, is an adjunct faculty member at Tillamook Bay Community College. She teaches writing and communications courses with a feminist and psychological bent. She is working on a BA in English at Portland State University. She lives at the Oregon Coast. Beth Hundley has been involved in helping to bring the spiritual teacher Amma-chi to New Mexico. Michael Hutley is living in the UK and is in the process of applying for accreditation with the British Association for Counseling and Psychotherapy. Jo Lagattuta is living in Austin, TX and has worked for the Family Crisis Center in Bastrop since graduating. She worked with children for three years providing art therapy services in the schools. Last year, Jo became the Adult/teen counselor and hopes to attend the AATA conference in San Diego. Melissa Picket M.A., LPCC I followed the breadcrumbs of inner nudgings to the SWC double doors in 1996, graduating a transformed self in 2000. Since graduating, I built a successful spiritual counseling, teaching and energy therapy practice in Santa Fe. I raised two very incredible boys who have now graduated college and are well on their way into their own life journeys. As of a few months ago, I became the proud mother-in-law of a beautiful young woman who has begun her own journey at SWC. I really couldn’t have imagined that 20 years ago, in 1992, when I answered the phone to the spiritual wake-up call, my life would be as amazing and wonderful as it is now. It is quite scary to answer a call that doesn’t reveal its plan, but it has been more than worth taking that risk. I now find myself wiser, more intimately connected with me, and living a wonderful, rich life beyond my wildest imagination. I am grateful for the grounded foundation, introduction into the mystery and transformational experiences that the college provided. SWC sits squarely in the center of what hindsight reveals has been an incredible 20-year spiritual-growth process. I suppose all of life is that. I was very happy to give back to the college, serving as board chair from 2006-2009. In October, 2012, I retired my counseling practice and am off to new adventures, promoting my new workbook, “Matrix Magic Playbook: New Vibes for a New You Living on a New Earth” and traveling the roads of fun and play with my beloved soul mate and husband, yellow lab, and cantankerous cat. You can check out the Playbook website at www.matrixmagicplaybook.com and follow me on my blog at matrixmagicplaybook.blogspot.com. Chad and Johanna (Buckley) Reznicek would like to announce that their daughter Aliya had her first birthday on March 25th. Ann Tidmore had a baby boy, Quinnlin, and her other son Ridley is so happy to be a big brother! She is excited to not be working and staying at home. Witter Tidmore is currently practicing family law, specializing in collaborative divorce and alternative dispute resolution. 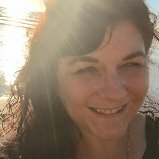 Kimberlee Voss has a private practice as a Clairvoyant/Intuitive Spiritual Counselor, Certified Medium and Angel Therapy Practitioner. She currently lives near Boulder, CO but it appears she will be moving back to Santa Fe in a few months!